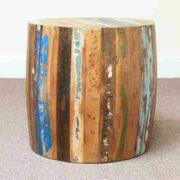 Round mango wood table with a chunky pedestal base. 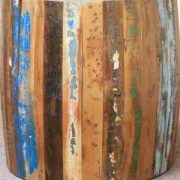 This mango wood round table has been rough finished and coloured with varying neutral shades, and a slight white wash. 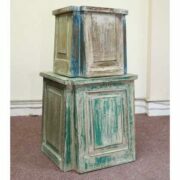 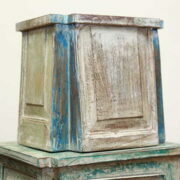 It has a think top and a chunky pedestal base.